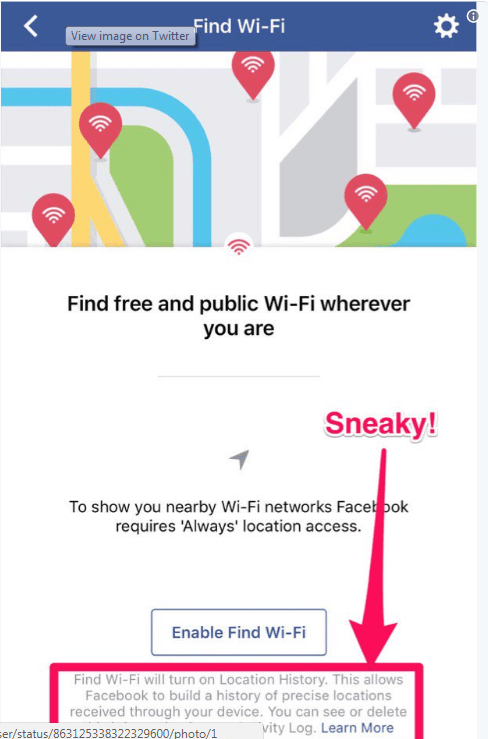 The social network giant, Facebook, is rolling out the “Find WI-FI” feature on their app platform. The feature let everyone to find nearby WI-FI locations on their app on a list or map as well as information about the business hosting them. This feature makes it affordable especially when you wanna save mobile data or traveling internationally and don’t have cellular data or can’t afford to roam. Facebook ‘Find WI-FI’ tool only lists WI-FI networks that have chosen to share their information on Facebook. It also needs to turn on its Location History tracker if you enable Find Wi-Fi, which keeps tabs on all the places you’ve visited.